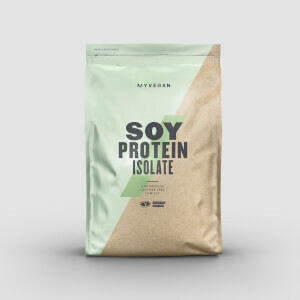 Pea Protein Isolate is a vegetable based protein. Free of gluten and cholesterol it's a great alternative to milk based proteins and is the perfect option for vegans looking to increase protein intake. It's a great source of protein for those with certain food intolerances. Pea Protein Isolate has over 23g of protein per serving, protein contributes to the growth and maintenance of muscle mass. It's also low in fat. Who is Pea Protein Isolate Suitable for? Pea Protein Isolate is ideal for anyone looking to increase daily protein intake and for anyone who may suffer from gluten intolerances. It is recommended to consume before or after exercise or as required throughout the day. Protein contributes to the growth & maintenance of muscle mass, so to reap the benefits of this product we recommend adding 1 large scoop (30g) to 150-250ml of water or milk in a Myprotein shaker 30 minutes before and/or after your workout. Alternatively consume any time of day to increase your daily protein intake. I added prescribed amounts of protein and water and it becomes a slurry as thick as peanut butter. Tastes horrible. Though I bought it to stay away from dairy and sugar but even if I shake it for like 5 minutes it doesn’t gets blended. Effective only if you can consume it. Tastes so baad that no one can describe that. Its so hard to make that thing pass through your taste buds. Rest good Protein content. No issues with mixibility. Results yet to be checked. In terms of price and effectiveness it's a good choice ,but it has the worst taste ,you have to indulge it in one go.I have to mix it with honey to taste it better . This product is very good, in terms of effectiveness. There is not at all any problem in mixability. The only downside it taste. It taste very bad in Milk or ButterMilk. In water it is acceptable. Being a fitness freak, professional trainer I am going to share my quick and precise review and information about this amazing protein. The time when I bought it, I knew it is going to be wonderful, as it is derived from plant and it is isolate form that means absorption rate is high and quick. This deliver's 24 grams of protein each serving which is superb and taste wise it is okay not very much bad. If you want better taste, you may add stevia or buy flav drops. When I wake up, I consume this as first meal along with carbs and after an hour I take my pre workout which is My Protein MYPRE. Then magic happen's. This protein helps my muscle fiber's to stay up and filled. Moreover when I am on the go I carry it so I will not miss protein intake. This is very nice for post workout shake as well, this gets easily mixed with water, milk, juice. I got my hats off to it is money justifying price and effectiveness.My one bag is about to end and second is on the way so guys do not miss it in your next stack! This is must recommend.